Voters still have ample time to apply for a Primary Election Vote By Mail ballot. In order to have a ballot mailed to them, voters need to be sure their completed Vote By Mail application is received in the County Clerk’s Office by May, 26, seven days prior to the election. After that, voters may apply in person or by authorized messenger in the Clerk’s office until 3 p.m. the day before the election. Voters are reminded that they must have the assistor portion (section 11) of the Vote By Mail application filled out if they receive any help in completing the application. A voter may select one or both of two options for future Vote By Mail ballots in section 10 of the application. Option A entitles the voter to receive a ballot for all elections in the same calendar year of their application. This option must be renewed every year by completing a new application. Option B entitles a voter to receive a ballot for all future General Elections. This option does not expire until the voter requests they no longer be sent. The Vote By Mail application is available by selecting “Election Services” on the County Clerk’s website www.co.burlington.nj.us/countyclerk. 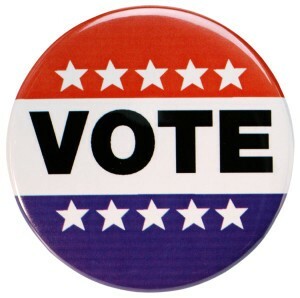 Voters may also have an application mailed to them by calling the Clerk’s Office Elections Section at (609) 265–5229.